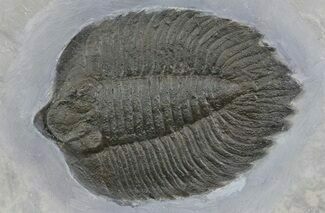 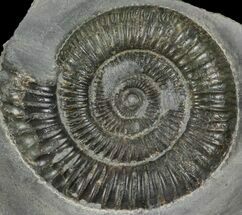 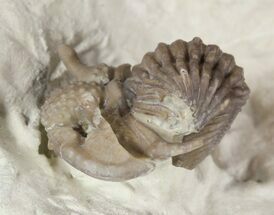 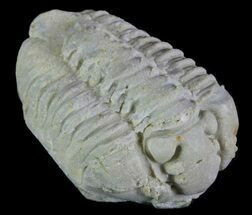 This is a rare trilobite offering from Malvern, England. 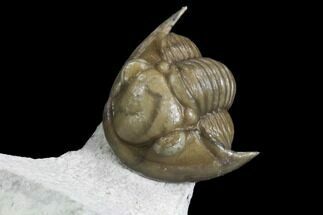 It's a very nicely prepared, 1.75" long, Encrinurus. 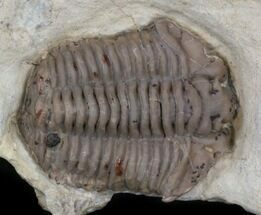 It's Silurian in age, Wenlock Stage. 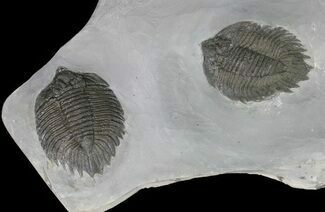 These trilobites are found in hard nodules and require a lot of preparation time. 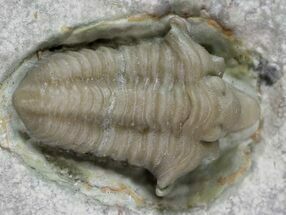 The details on this specimen really show off the skill of the preparitor. 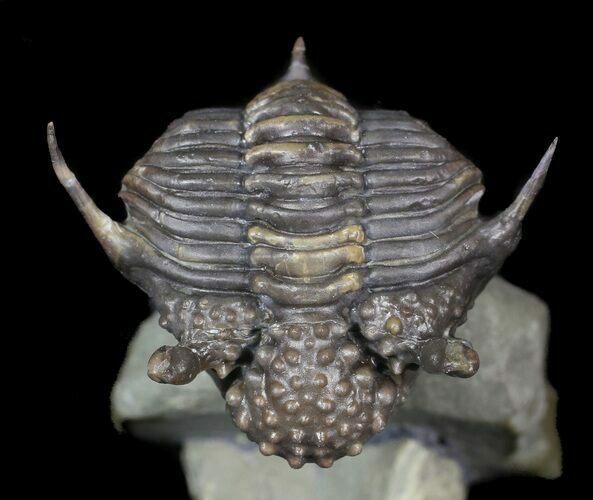 The long eye stalk and spines have all been prepared free standing. 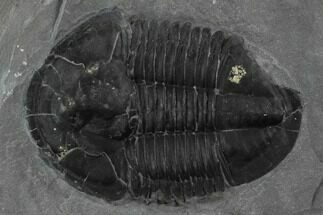 Only a small handful of these trilobites have ever been collected and nicely prepared like this one.